This article is one in a series at The 74 which profiles the heroes, victories, success stories and random acts of kindness to be found at schools all across America. Read more of our recent inspiring profiles atThe74million.org/series/inspiring. Learning to tie a tie. Engaging in healthy communication. Many students learn these skills from their parents, but not every kid comes from a stable two-parent household. 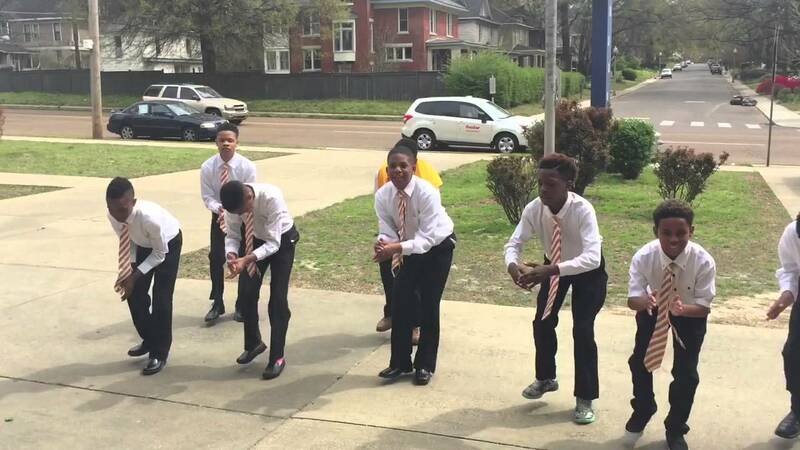 At Bellevue Middle School in Memphis, Tennessee, a once-a-week mentoring club has shown that for kids in need, it can make all the difference. 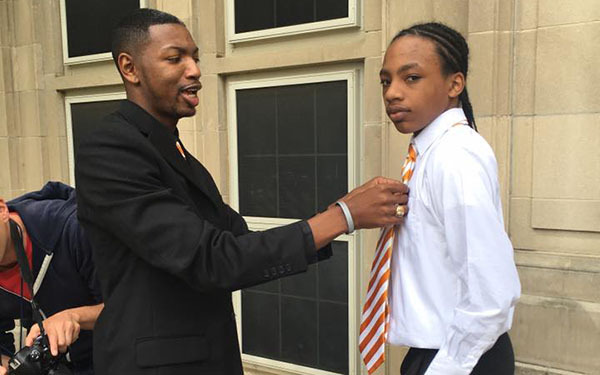 "It's my duty now to be that living proof that you can go through those struggles, you can be low-income, you can have times where your father isn't necessarily there or showing you the right way, and become something," principal-in-training Archie Moss told The Commercial Appeal. "And become something successful." 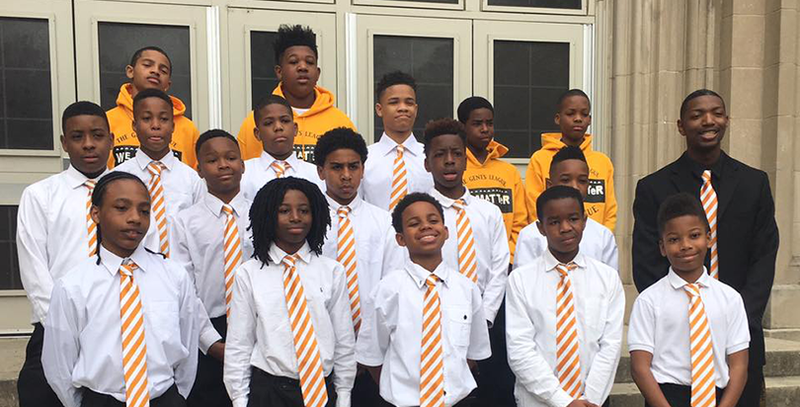 30 young Bellevue men now gather after school for “The Gentlemen’s League.” They’re assigned points for good behavior and academic performance. The reward? Participation in a step dancing team. A really good step dance team. 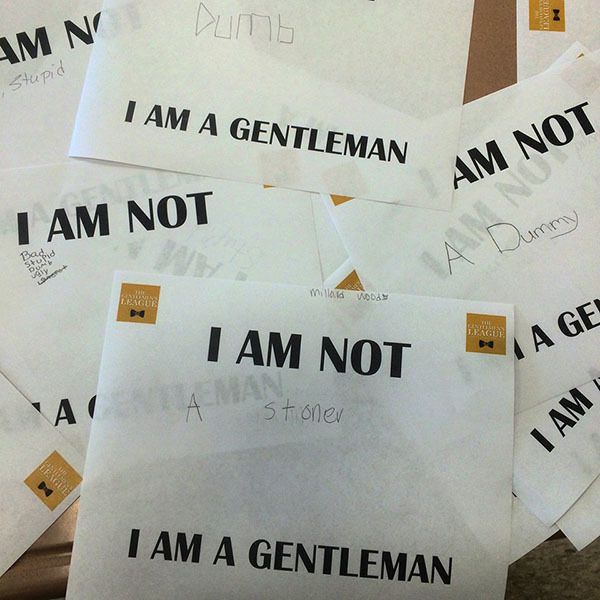 "I was really already a gentleman, but I wanted to get better because I have a little bit of an attitude," seventh-grader Darius Smith told the paper. According to MENTOR, The National Mentoring Partnership, at-risk youth who have mentors are 55% more likely to enroll in college and 130% more likely to hold leadership positions. Youth.gov also reports that attendance, academics, and classroom engagement all improve in students with mentors. 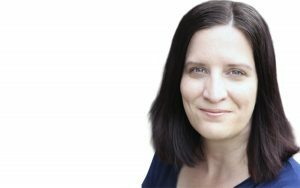 Mentoring can make a real difference across the wider district. Shelby County Schools is home to a majority of schools in the state that register in the bottom 10 percent of academic performance. But at Bellevue, the Gentlemen’s League is generating notable results. During the first quarter of the school year, the 30 club members accounted for 20 percent of suspensions at the middle school. By the third quarter, that number had dropped to just 7 percent. "Mr. Moss really is like a father figure to all of us," sixth-grader Bernard Gallardo told The Commercial Appeal. Bellevue’s principal Kevin Malone is pleased with the club’s results, telling the paper: "People and kids need something to belong to. When you have a sense of being part of a team or belonging, you're generally going to do better."